August 01, 2015, 12:54 p.m.
Islamist terror attacks in Tunisia and now Turkey have spread fears that European countries in proximity to Northern Africa and the Middle East could be next. The British government warns that France, Spain, Egypt and Turkey have a high threat from terrorism, while Tunisia&apos;s border with unstable Libya makes the risk of further attacks, as well as kidnappings, likely. 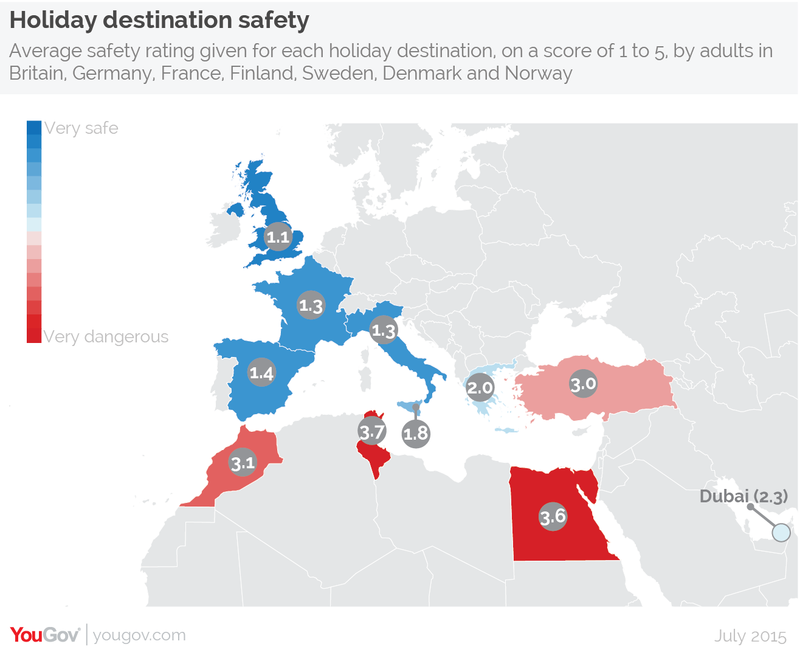 Amid the concerns YouGov has polled seven Northern European countries on the safety of travelling to popular holiday destinations in the region. Adults in Britain, Germany, France, Denmark, Sweden and Norway were asked to rate the safety of each country on a scale of one (safe) to five (dangerous). Tunisia is perceived as the most dangerous, with an average score of 3.7 across all the nations polled. But Egypt, which links both Northern Africa and the Middle East, is now effectively considered to be as dangerous (3.6) as Tunisia. 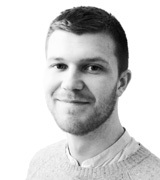 Morocco is classified by the British government as having a &apos;general&apos; threat from terrorism, however fears over its safety are slightly higher (3.1) than for Turkey (3). The rest of the European destinations are viewed on the safe side, however Greece (2) is viewed as only slightly more safe than Dubai (2.3). Sicily was asked about seperately from Italy, given its proximity to Tunisia, and is viewed as more dangerous than the mainland (1.8 compared to 1.3). Northern and Southern Spain were also asked seperately, however the same scores (1.4) were given on average. Denmark, Sweden and Norway are the least fearful of the countries polled, giving the destinations an average score of 1.8-2.1, while Finland, Germany and Britain give the destinations an average score of 2.2-2.3.